Grab our Germany Vape Shop Database Leads over 30,000 Global Vaping business B2B Leads and Dominate the market. 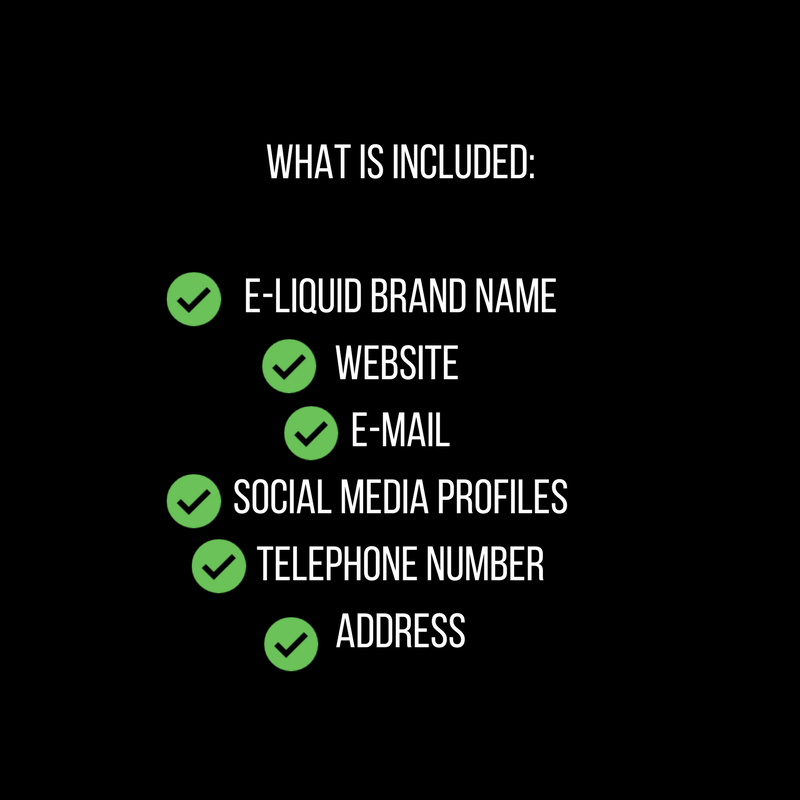 Our Vape Shop Database will help you to see your e-liquid or vape brand inside every shop around the world? Our vape shop database and our Global vape shop database Leads will connect your vape brand with thousands of vape shops around the world and grow your sales and profit. 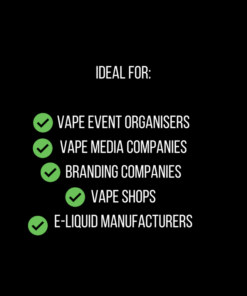 Our vape shop database leads have been compiled manually by over an extremely long period of time through contacts gained at vape exhibitions and publicly available resources and our own vape marketing lists. 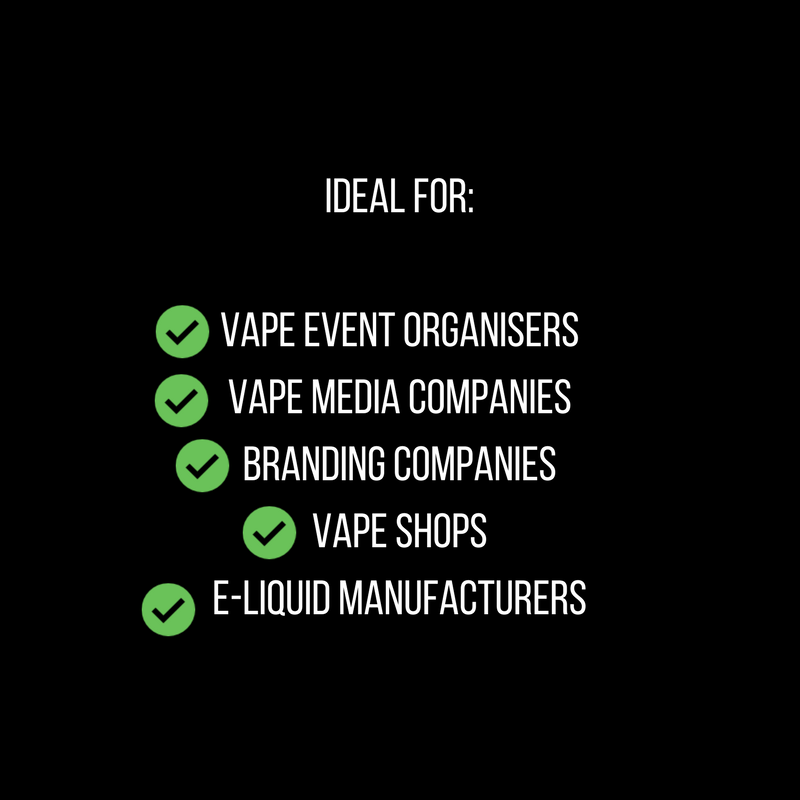 Our Vape store database is better than attending vape exhibitions and throwing money at marketing is great if you have unfettered access to financial resources. The story for smaller players is usually different. 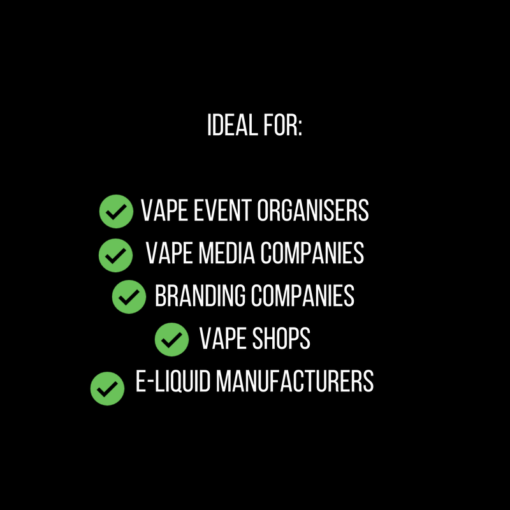 Expect to spend at least $5k on a vape exhibition and tonnes more on marketing your vape brand with magazines and other media portals. Our global vape store database is simply the MOST AFFORDABLE solution. It is simply the BEST BUSINESS DECISION you will ever make. Our Vape store and shop leads are the best around, with the most up to date info on vaping stores available TODAY. Highly EFFECTIVE – we have helped some of the biggest names succeed in the vape industry through our vape store database. 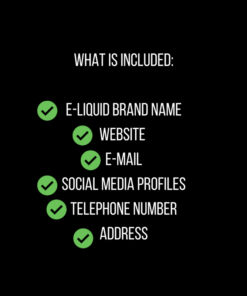 Added contact details for e-liquid wholesalers and distributions with the following fields Company Name, Website, E-Mail Address, Telephone Number, Address, Contact Form, Contact Form URL, Instagram and Facebook. Over 3000 new businesses were added. Visit Vape-Marketing.com to see what other Vaping Online Marketing services we have to offer you.